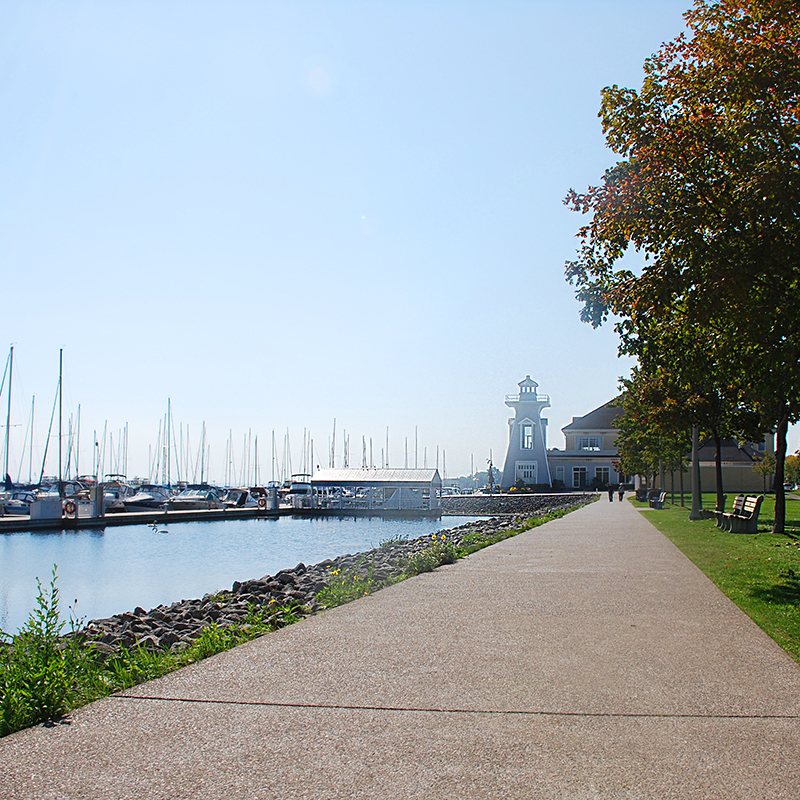 Oakville has lots to offer and a wide variety of neighbourhoods - something for everyone! Hop off the QEW and you are home! Executive townhomes and large detached homes in an excellent school district, including Iroquois Ridge High School. Great commuter area! 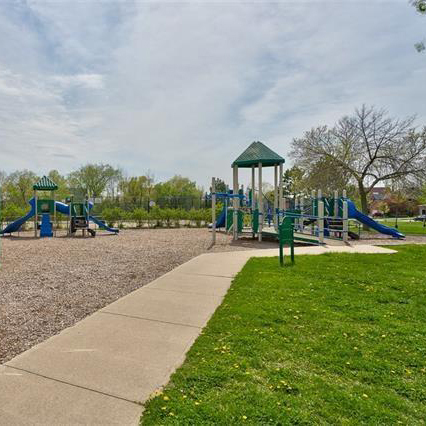 A well-established community in the northeast section of Oakville surrounded by mature trees, parks and walking trails, in the excellent Iroquois Ridge school district. 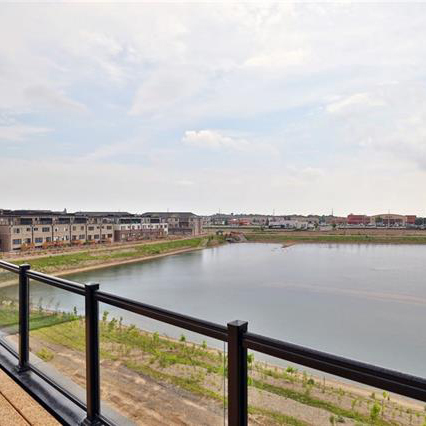 This desirable neighbourhood offers easy access to shopping, highways and the GO train with a mix of detached homes, townhomes and apartments found here. Highly sought-after for proximity to amenities and excellent schools including new French school and White Oaks with International Baccalaureate (IB) program. Great mix of townhomes, semis, condos and detached – quick access to the 407! Nestled between the Glen Abbey and Oakville Trafalgar Golf courses with scenic views of the ravine along Sixteen Mile Creek. As older empty nesters begin to move out, and families move in, the neighbourhood is being transformed. MoneySense picked College Park in Oakville as one of the top 3 neighbourhoods to buy real estate in all of Halton Region last year. 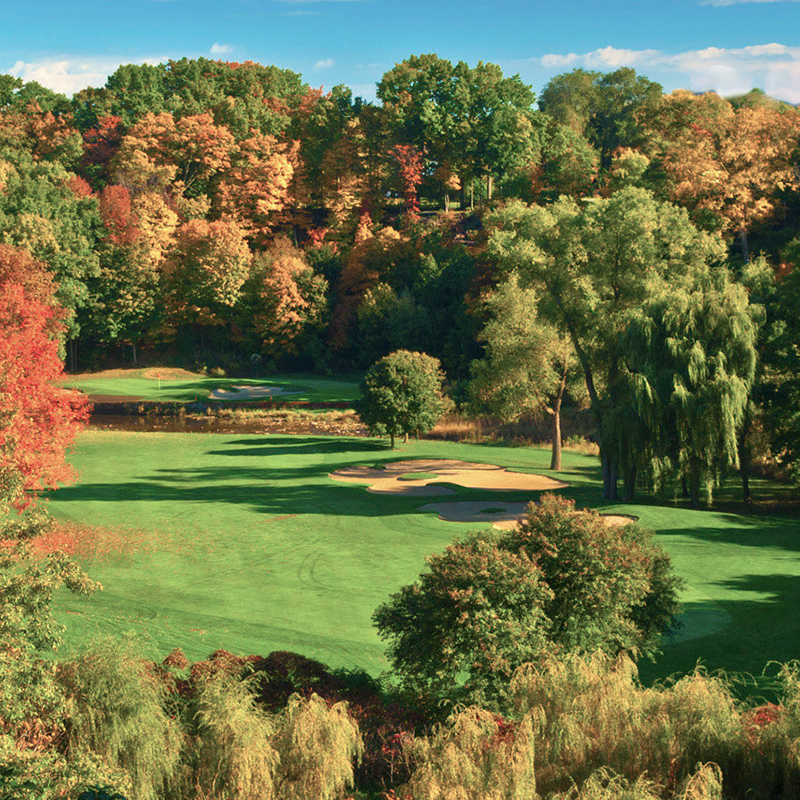 Home of the world famous Glen Abbey Golf Club and established in 1983, Glen Abbey is known for its ravines, extensive walking trails and great schools including Abbey Park High School ranked #2 in Ontario in 2017! Homes are predominantly detached 2 storey brick with double garages as well as some town and link homes and condo apartment buildings. 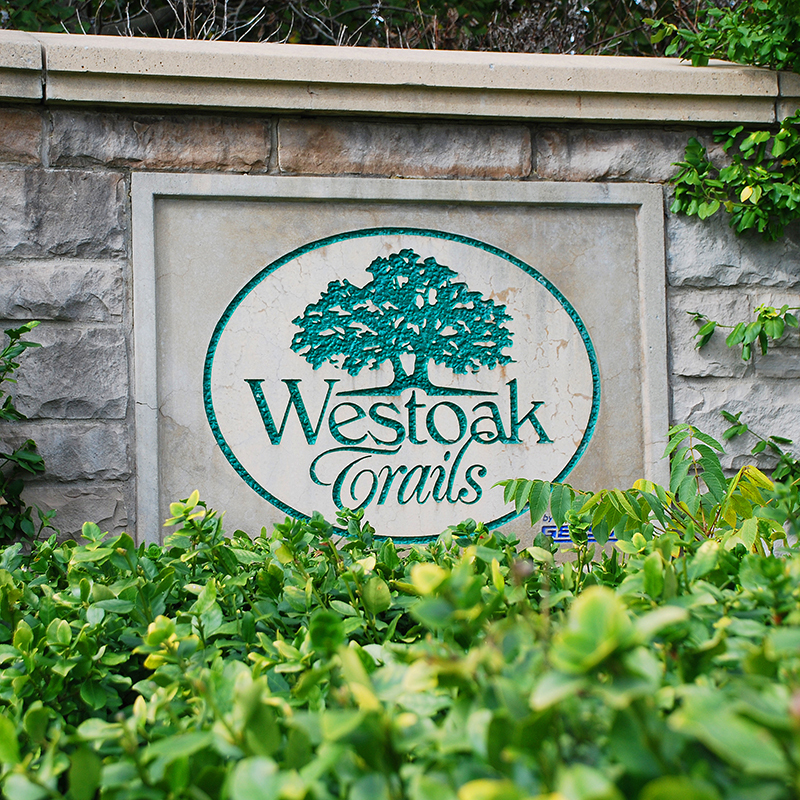 West Oak Trails is located on the western border of Oakville and offers a variety of housing types. Large detached family homes as well as smaller detached and semi’s. 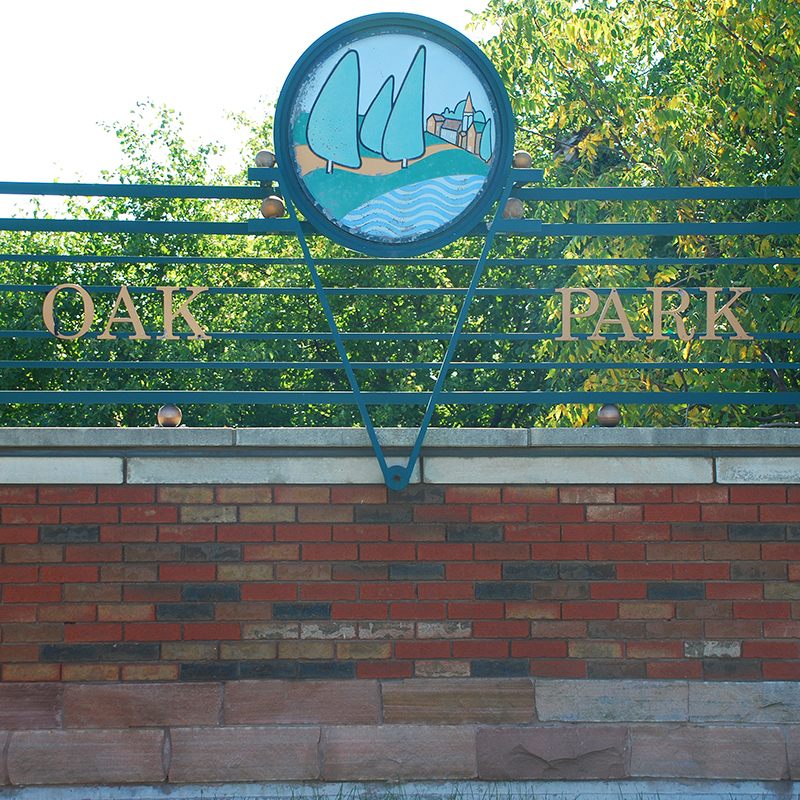 High ranking schools, parks, trails and proximity to the new Oakville Hospital make it extremely popular with families. 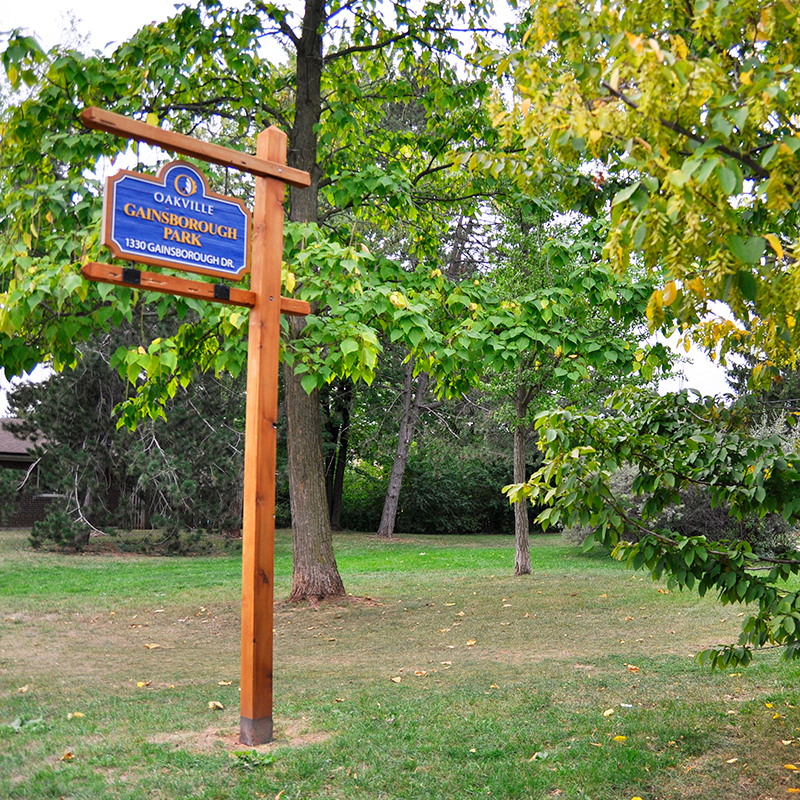 A newer community in North West Oakville, Westmount attracts families with its parks, walking trails and excellent schools. Housing types include large detached family homes in excess of 4,000 square feet as well as smaller detached and semi’s. Grocery stores, recreation centers and highway access area all within easy reach of this neighbourhood. 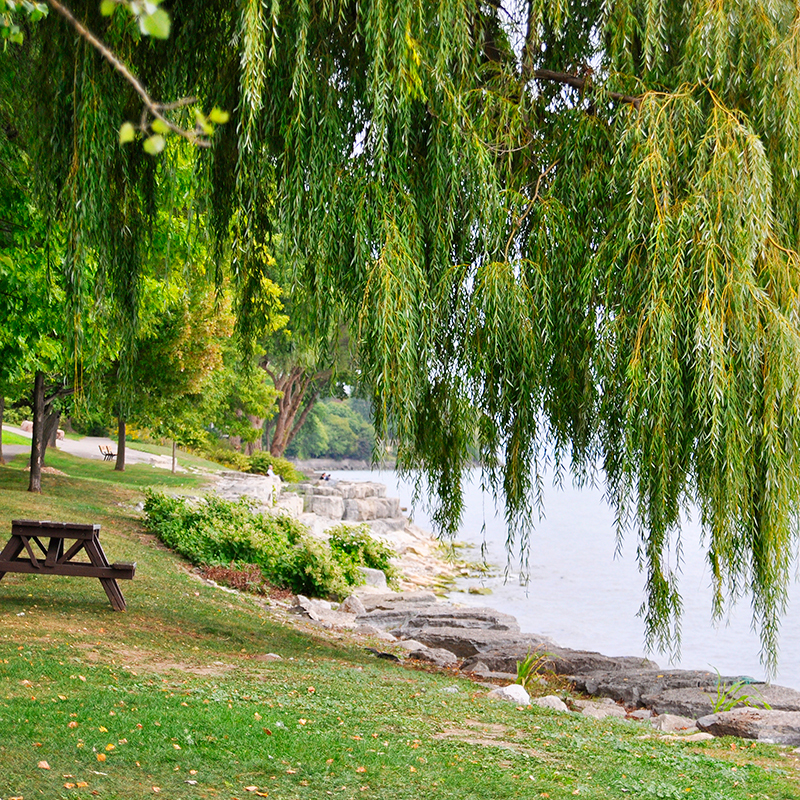 Located in North Oakville, Glenorchy is one of Oakville’s newest communities. Offering a mixture of housing, Glenorchy has attracted families with its proximity to shopping, Sixteen Mile Sports Complex and easy highway access to both the 407 and 403. Currently under development, the neighbourhood of Sixteen Hollow is expected to be built up over the next 20 years. 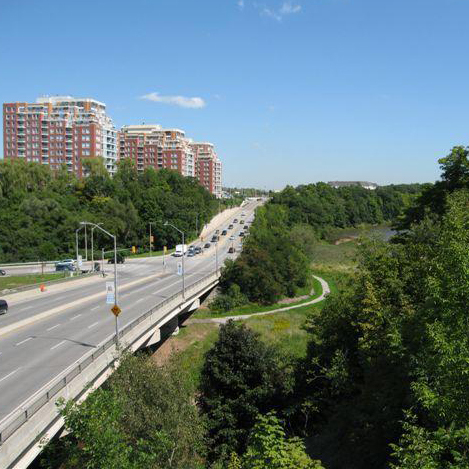 Bordered by highway 25 to the west, highway 407 to the north, Sixteen Mile Creek to the east and Dundas Street to the south. 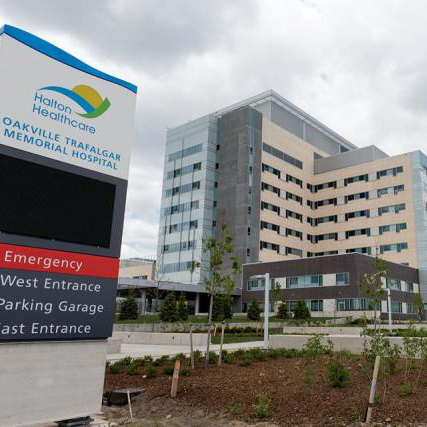 The new home of Oakville Trafalgar Memorial Hospital! 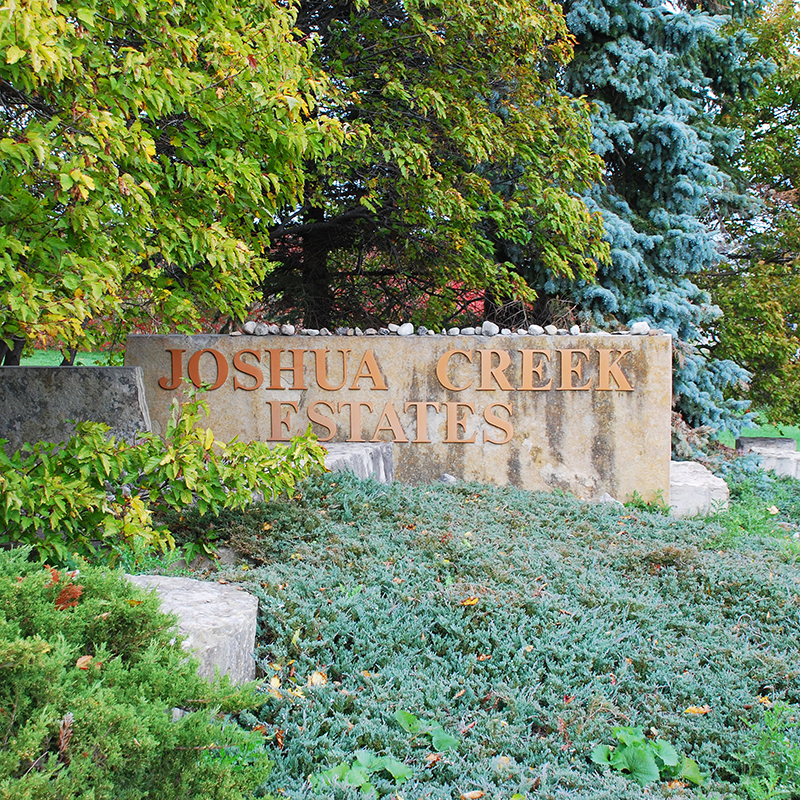 Currently under development by builders, the neighbourhood of Joshua Meadows is located on the north side of Dundas stretching west to Trafalgar and east to ninth line. Its proximity to shopping as well as highway access make it a very desirable community. 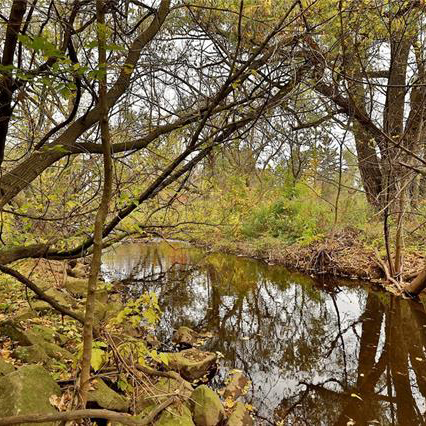 Bordered by beautiful Bronte Creek Provincial Park, Bronte Creek is one of the newer neighbourhoods in Oakville. 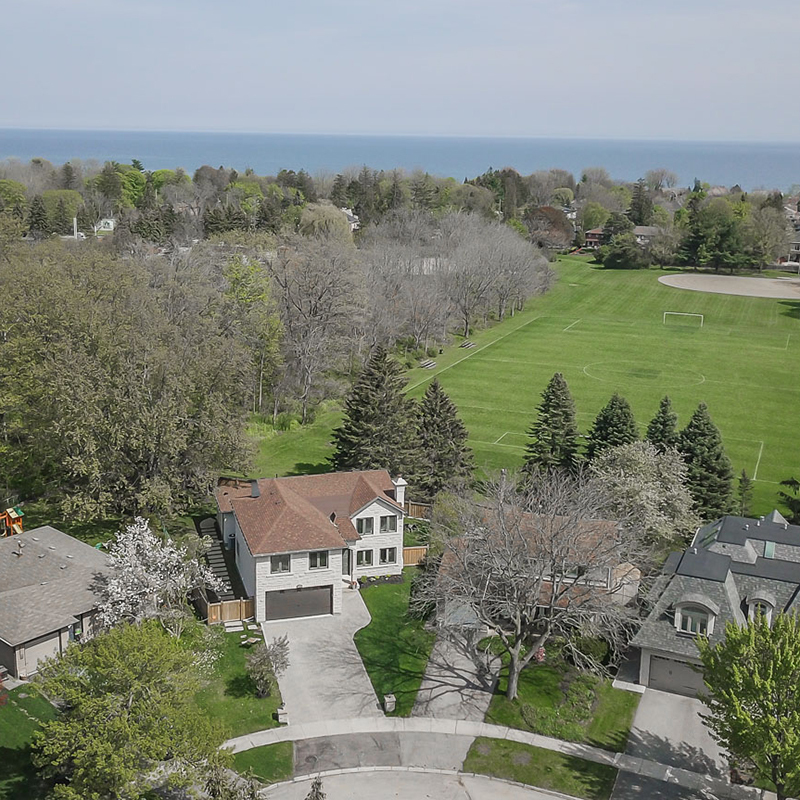 Built on the former Richview Golf Club lands, the area is comprised mainly of large two storey homes and executive luxury town homes mainly for families and empty nesters. 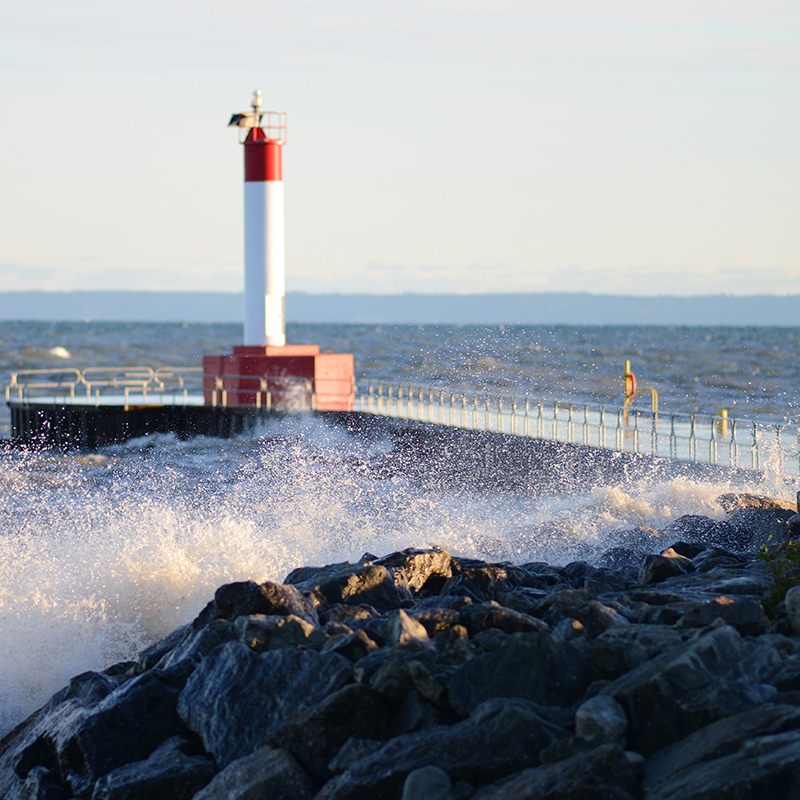 Bordered by the magnificent 16 Mile Creek to the west, the historic town properties, and the iconic pier all wrapped in and around one of the best main streets in Southern Ontario. A true East Oakville pocket of stately homes, magnificent updated large and luxurious properties; a short stroll to the downtown core of Oakville, and some of the most well-regarded schools in the province. This quiet, upscale bedroom community, close to the QEW, but not too close. 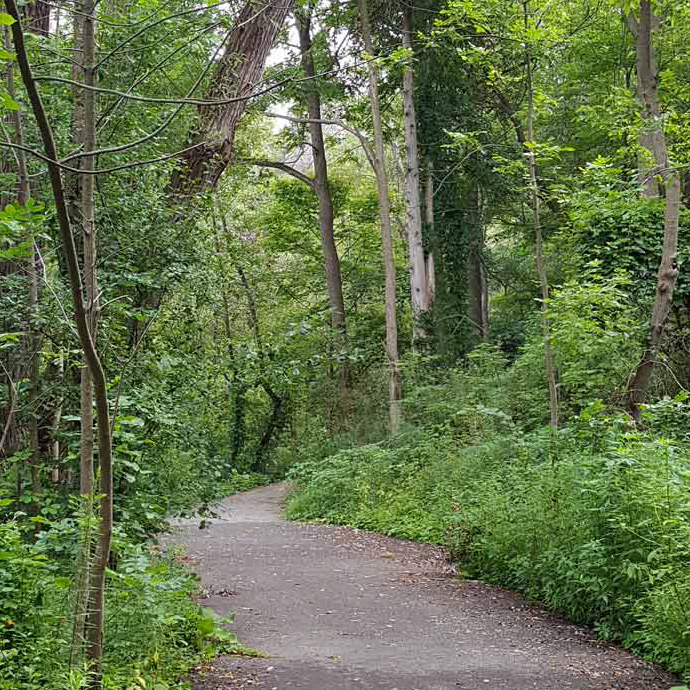 Nature trails, parks and more. Bring your bike. The eastern gateway to Oakville - an excellent community for commuters, just minutes to the highway or the Clarkson GO station. 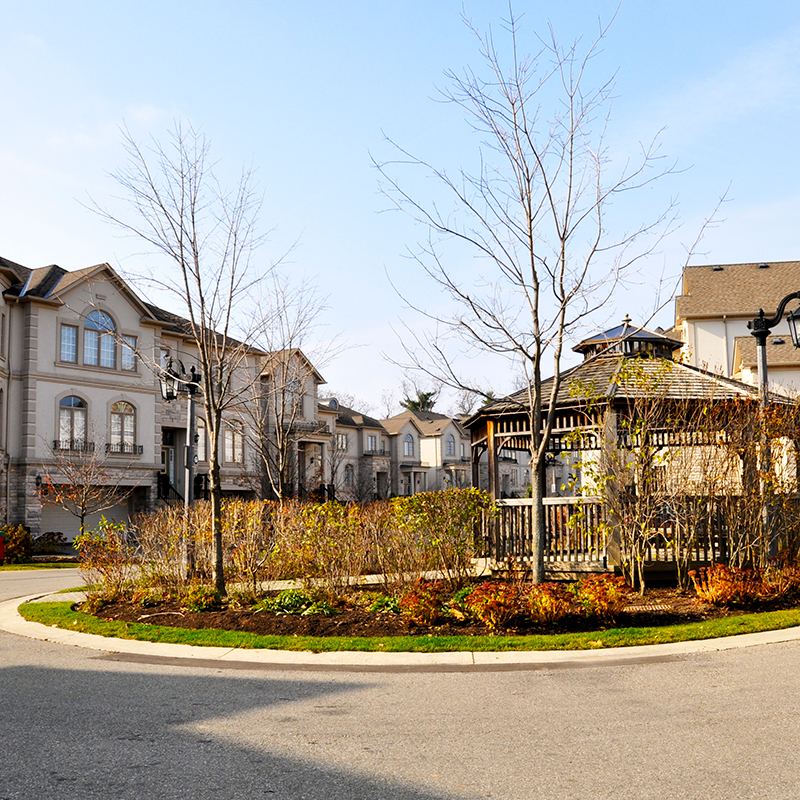 In this neighbourhood you will find a mix of detached, semi-detached and townhomes. Close to parks and trails, shopping and restaurants. In the excellent Oakville Trafalgar High School District! 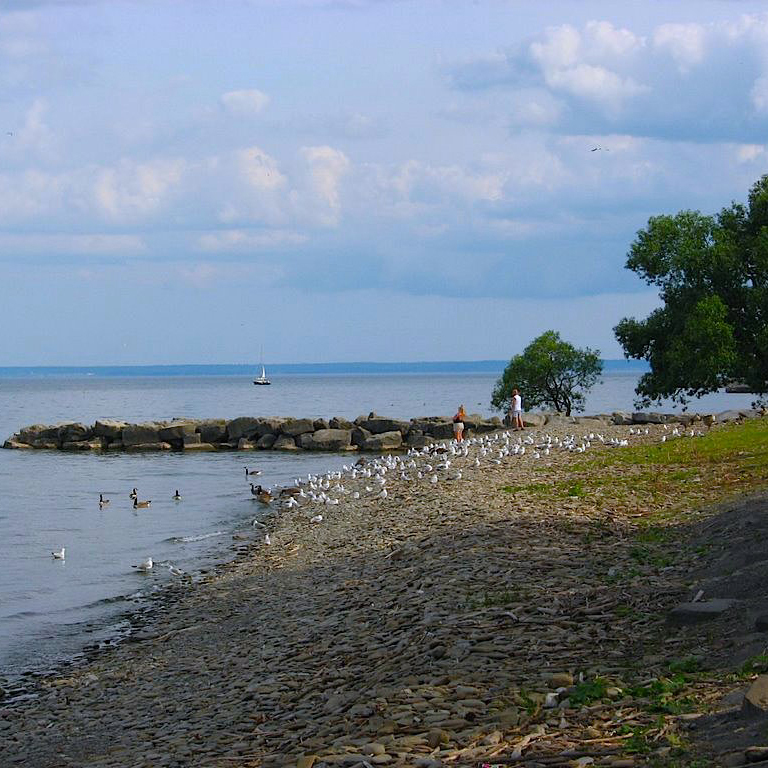 Whether the vibrant Kerr Village area, the stroll to the harbour, your home nestled near the shores of Lake Ontario Central Oakville is small-town living at its finest. 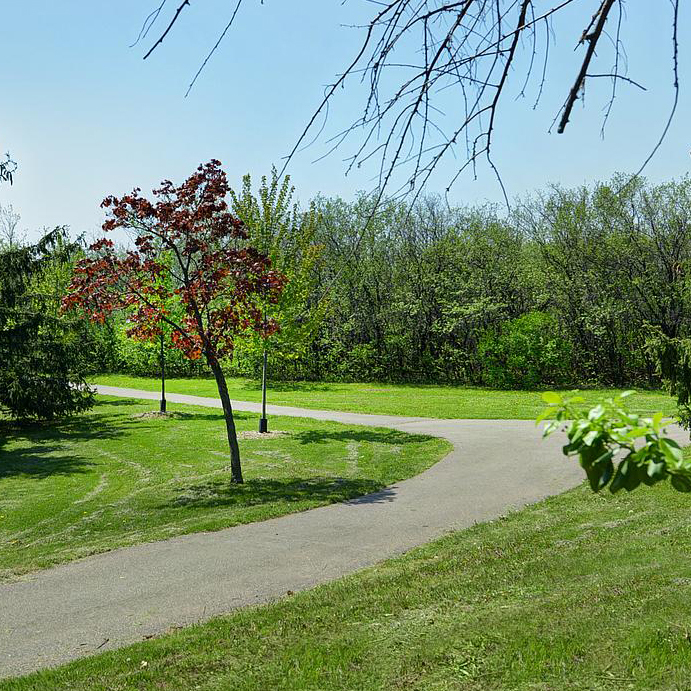 In close proximity to Lake Ontario and the popular Coronation Park, this community is known for its mature trees and large lots. Southwest Oakville is a changing community as many of the existing homes are undergoing major renovations and smaller, older homes are being replaced by large custom built homes. Oakville’s newest hot spot! 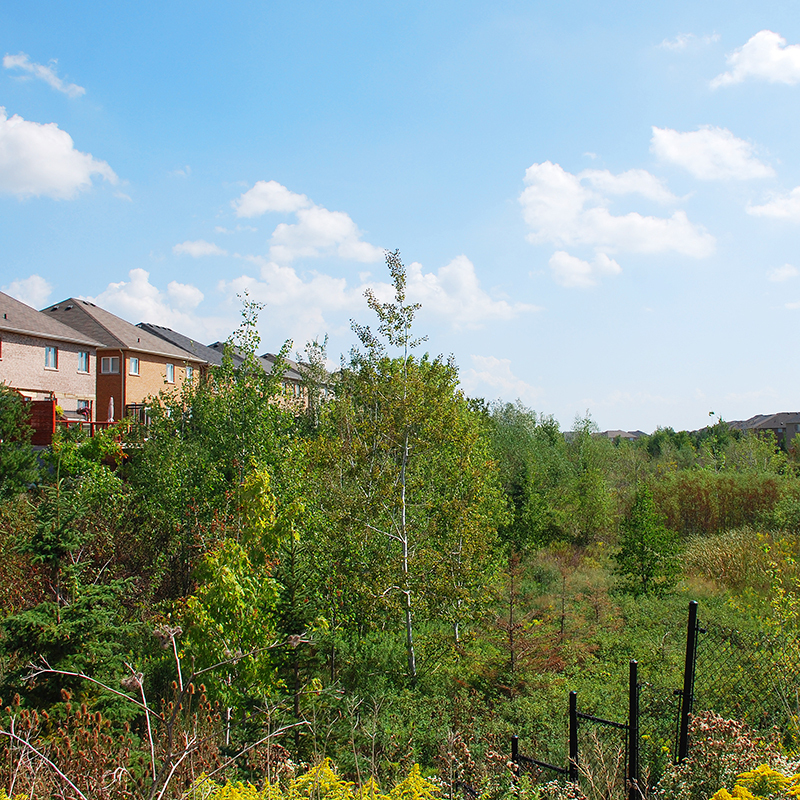 Oversized lots prime with mature trees provide the perfect area for new builds and renos. 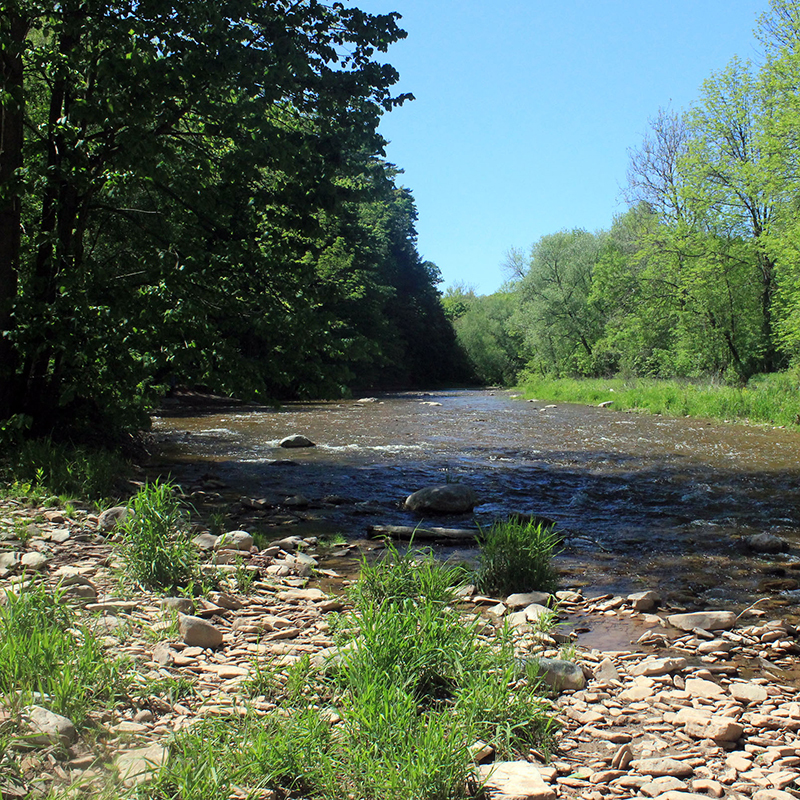 Close to Appleby College and amazing parkland areas. Still Southern Ontario’s best kept secret. A stunning harbour with shops, great restaurants, and two marinas. Tastefully appointed condo developments alongside streets of bungalows, and newer build properties. An older neighbourhood consisting of many small bungalows on great lots, this neighbourhood built between the 1940s and the 1960s is also a changing area with new and large custom-built homes replacing many of the small bungalows. Named best mid-sized City in Canada by MoneySense Magazine! 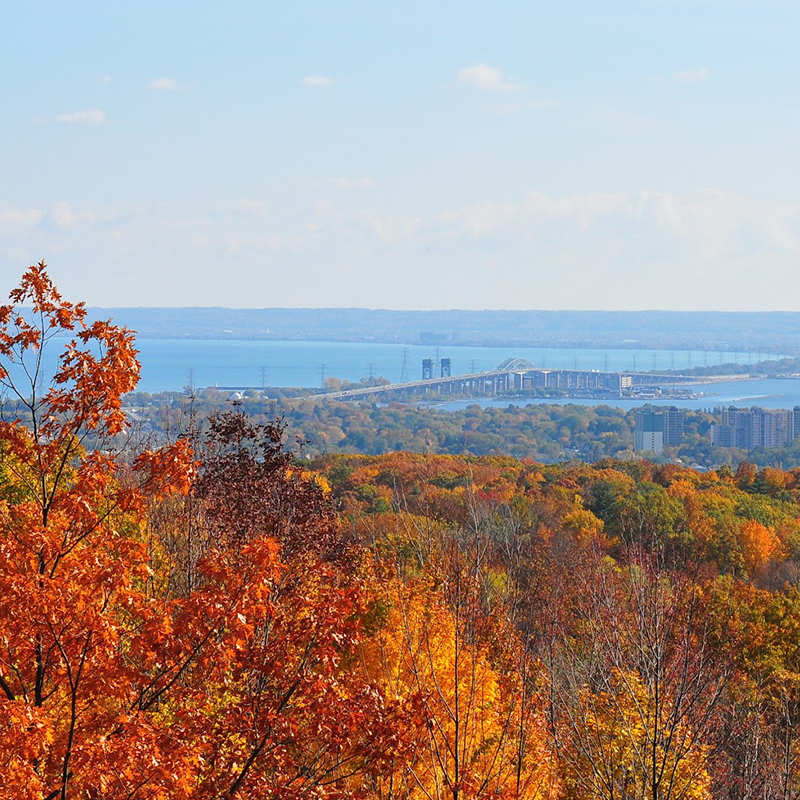 Conveniently located between Toronto and Niagara Falls on the Shores of Lake Ontario and north to the Niagara Escarpment this beautiful City has world class amenities and is known for its shopping and restaurants as well as the annual Sound of Music Festival! 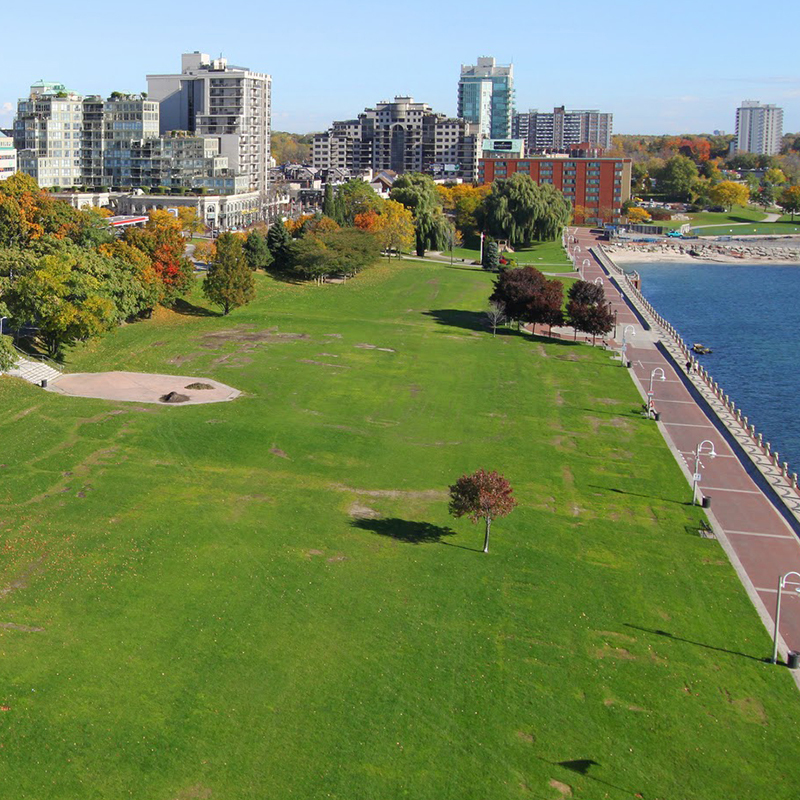 You will love Burlington's new developments north of Dundas and its mature areas south of the QEW, great infrastructure, good Schools and Waterfront Trails and parks for active families. Come home to Burlington! 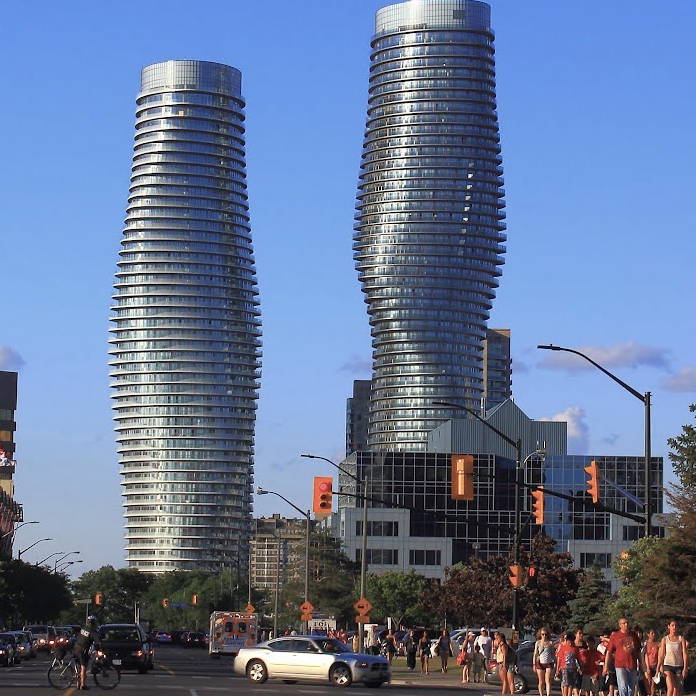 Mississauga borders Oakville’s eastern side and is recognized as Canada’s 6th largest and fastest growing major city, representing cultures from around the world. Home to Pearson International Airport, great for commuters, plenty of homes of all types can be found here. 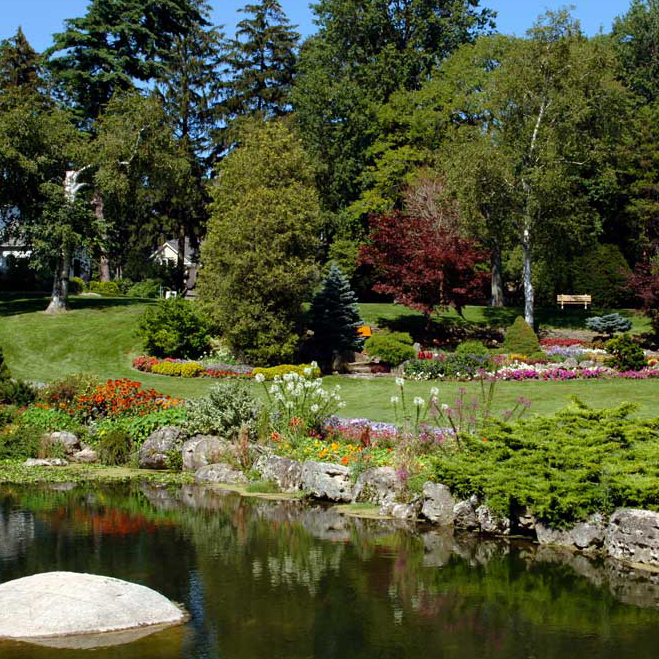 Located to the north of Oakville, the Town of Milton offers many amenities and opportunities for residents that help it a safe, healthy and livable community. 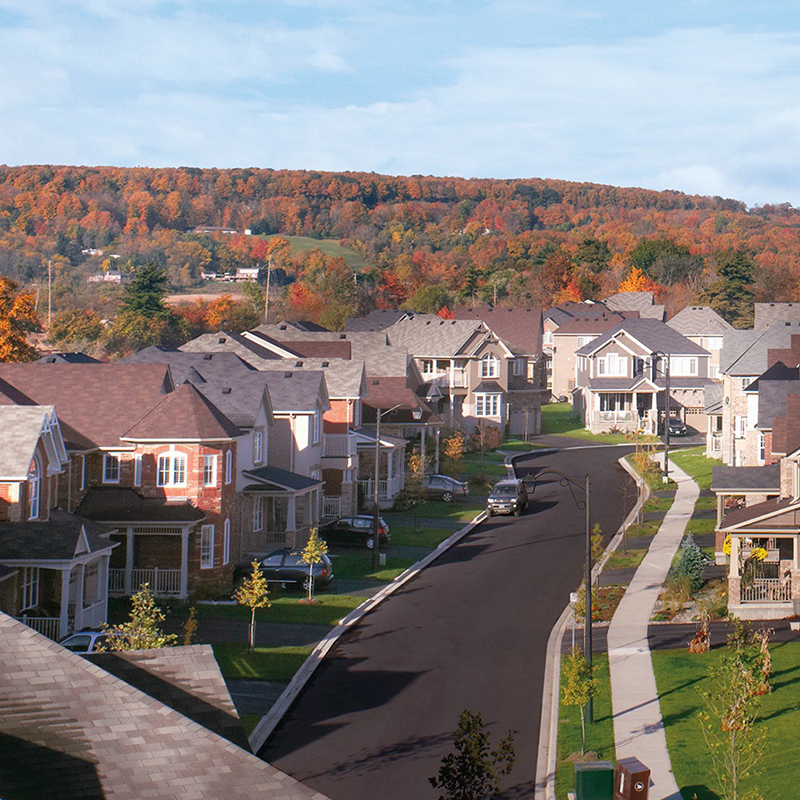 As Canada's fastest-growing community, Milton is a blend of urban and rural, modern and historic, all set in the backdrop of the Niagara Escarpment. If you’re seeking a home offering plenty of wide open space, privacy and fresh air, then a property in one of the many rural areas north of Oakville might be the ideal destination for you! 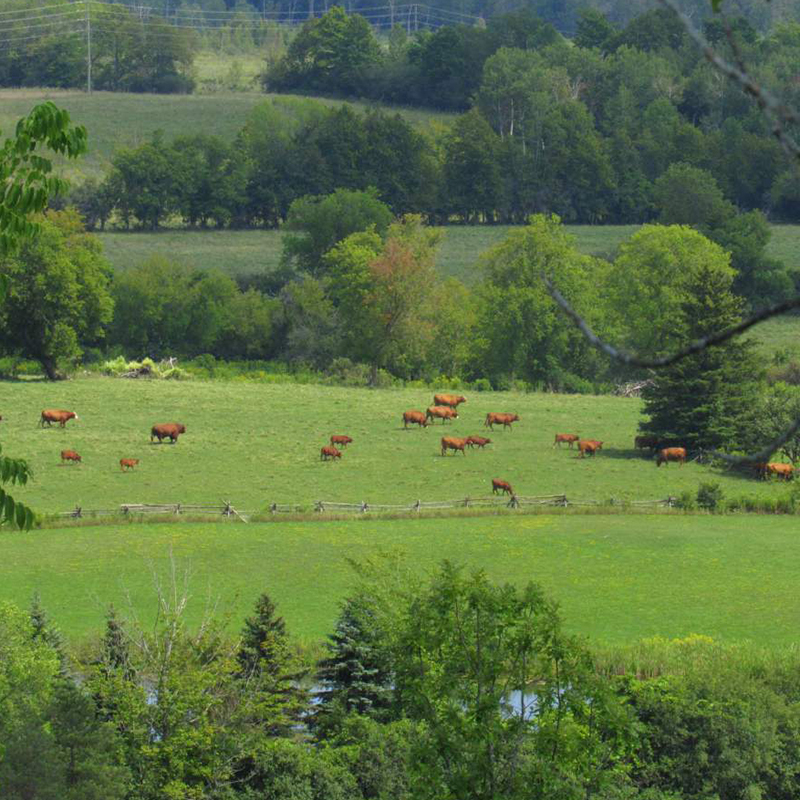 Whether you’re looking to restore an old farmhouse or build your dreamhome on a large acreage, there are plenty of areas offering these options and more, many with breathtaking views of the Escarpment! The Golden Horseshoe is the most densely populated region of Southern Ontario, and lies at the western end of Lake Ontario, with outer boundaries stretching south from Lake Erie and north to Lake Scugog.